Many small businesses today have a website or social media accounts, but others either have social media only or no online presence at all. 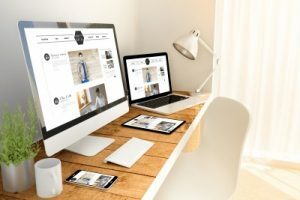 With the amount of shoppers in Glen Ellyn using mobile devices to shop, find stores, or get reviews, there’s a lot of opportunities being ignored without coming up with strong internet marketing strategies. Design & Promote’s marketing experts have the experience and the tools to build your brand and help you maximize your reach to your customers. The team at Design & Promote will explain to you all the different avenues involved with marketing strategies, and how optimize your search efforts to be as effective as possible. Use the form on this page to contact an expert, or give us a call at 1-630-995-7109 for more information on our services. Fully realized internet marketing strategies utilize smart website design, search engine optimization, social media, and other online avenues to drive traffic to your website and elevate your brand. Design & Promote’s specialists will consult with you on each piece of the strategy, and devise what types of strategies will work best for you. We will work with you to learn all about your business, what makes it unique, and about the customers you are trying to reach. Your site will incorporate current standards for major search engines, allowing people to find you easier, while also being easy to navigate. We leverage the latest SEO practices so your site is easy to find with the press of a button, as well. Design & Promote is rated one of the top web design firms in the area and we know how to bring business to the suburbs and beyond. Complete the form on this page to begin planning marketing strategies for your company, or call us at 1-630-995-7109.